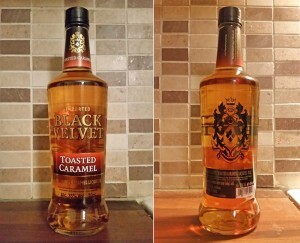 My spouse gave me a whisky liqueur called Black Velvet Toasted Caramel as a present for Christmas. 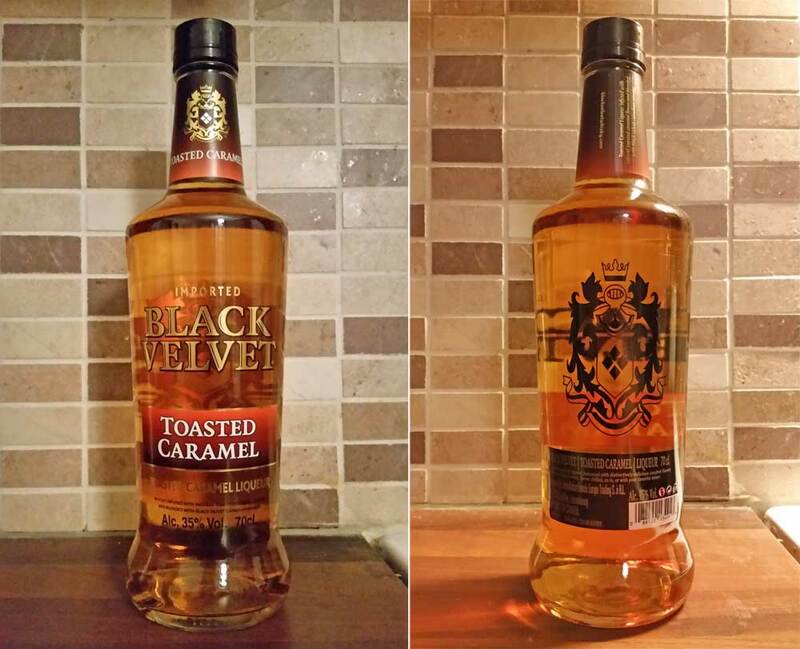 Having had some bad experiences with Black Velvet blended whiskies, I wasn’t sure what to think about it. Then again, knowing that this is a liqueur with a whisky influence and lots of caramel flavor in it, I knew it might as well be a nice booze. After all, we shouldn’t confuse liqueur and whisky together. We surely can blend them together, this isn’t that bad. So, this comes from the Canadian Black Velvet distillery in Lethbridge, Alberta. What they’ve done, they have infused together some heavily flavored caramel liqueur and their usual Black Velvet blended whisky together. 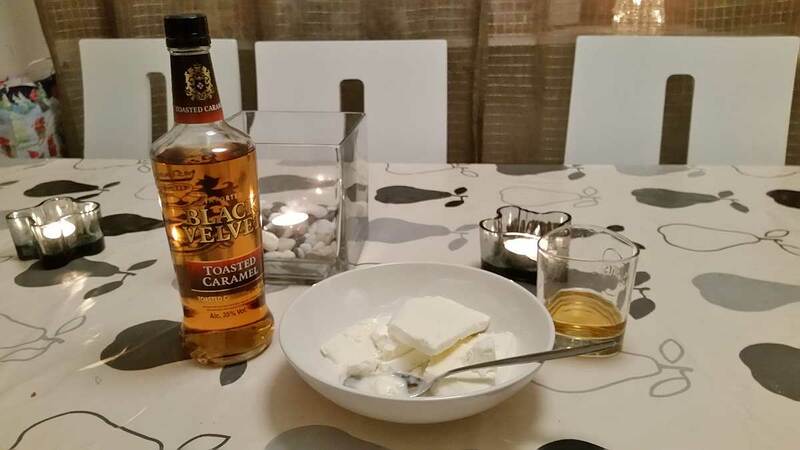 “Victor” in Connosr has a good review with tasting notes, you can find it here. I won’t go too deep with it, just saying that this is like a thinner version of Baileys Irish Cream, with more alcohol feel in it. Not bad, not too good either. Suits pretty well with vanilla ice cream, tried it and liked it like that. The caramel is very strong in this one.